Would a movie about an Indian teenager lost in the ocean in a rescue boat with a ferocious Bengal tiger, a quiet orangutan, an injured zebra and a crazy hyena be intriguing to you? If the answer is Yes, it is obvious you need to buy a ticket for this movie. You might even want to buy the book of the same name written by Yann Martel to read for comparison. If the answer is No, then would you be interested in the movie if it was directed by Ang Lee, the Taiwanese director who is probably the best known and most successful Asian film-maker in Hollywood with a string of Academy Awards nominations and awards. His films which range from action, drama, comedy to fantasy have all been critically acclaimed. My personal favourite is Eat Drink, Man Woman (1994) which he made after the classic, The Wedding Banquet (1993). If the answer is still No, then are you interested in movies with lots of computer generated graphics, freak storms in the oceans, wildlife, and fantasy like scenes? The cinematographer, Claudio Miranda, happens to be the same person who worked on Tron: Legacy (2010) and The Curious Case of Benjamin Button (2008). If the answer is still No, then there is no point reading further. Life of Pi is not a movie for everyone, though. 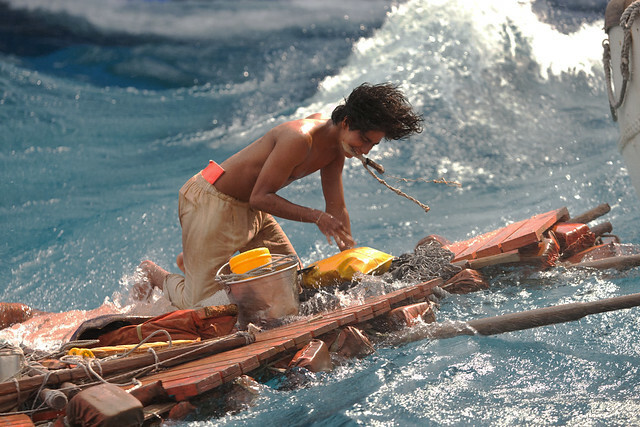 Firstly, the shaky camera movements during the storm scenes, though imitates the rough seas, will cause motion sickness for some viewers. Worse for some if you watch this in 3D and magnified if you are watching in IMAX and seated in the front few rows. Second, the movie makes you think. Faithful to Ang Lee’s style and following Martel’s book, the unraveling of the story and the characters will have the audience in deep thought, and maybe drawing parallelisms with their own life experiences. The movie sheds light on religion, the pains of growing up, first love, racism, and why tall tales make better stories than the actual event. Each of us will have a different view of the movie and each of us will be attracted to different characters in the movie. Mine had been Pi’s father, a freethinker, an ethical businessman, and responsible father, who does not stand in Pi’s way, and does not hinder him from assimilating himself and discovering different religions. Children and teenagers might find the movie draggy as the messages delivered requires some maturity to understand. For those just interested for a good time at the movies, the lifelike computer generated images of animals and wild stormy seas will truly astound your senses. Translation of the complex novel to the big screen is a big challenge but I felt Ang Lee has pulled it off well with a well written screenplay, fantastic animation, and a great cast of actors who delivered very good performances especially, Suraj Sharma, the amateur actor who had to play the lead role talking to imaginary animals on set. or it could be as simple as.. in life, ppl prefer the tall tale fill with adventure and danger, rather than the truth. Definitely looks like a watch on the big screen is in order! I haven’t read the book, but this looks like a great movie. Well, it is different! LOL. A little bit of a tall tale, but it does well in 3D! 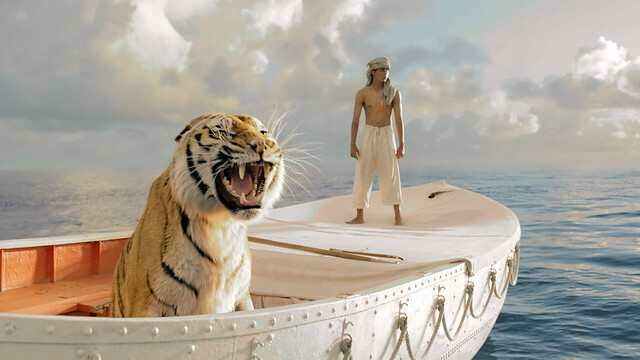 Saw Life of Pi this last weekend in 3D and was very impressed. Not only is the movie quite beautiful it’s a also a very touching story. I definitely recommend it! Glad you liked it! I loved the 3D effects! I really enjoyed this book, so I am looking forward to the movie. Thanks for the recommendation.